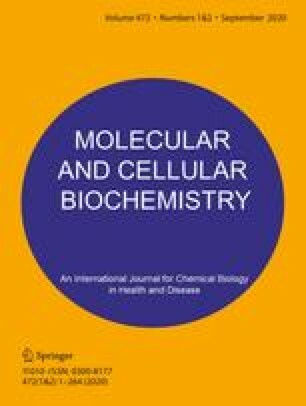 In this article, the key concepts of the association-induction hypothesis and their experimental verifications were reviewed: According to this hypothesis, the bulk of cell water exists in the state of multilayers polarized and oriented by the backbones of certain proteins existing in an extended state. The major intracellular cation, K+, is also adsorbed but singly and on different protein sites (i.e.,β &γ-carboxyl groups). The living protoplasm of protein, ion and water represents a three-dimensional cooperative assembly under the control of certain cardinal adsorbents, of which ATP is a prime example. Association of ATP with the cardinal site of a key protein may produce a cooperative change in the electron distribution of the protein with consequent change of the state of ion and water adsorption. Such an alteration in the physical state of water leads to a change in the solubility of various solutes in this water as well as permeability of various solutes (e.g., Na) through this water. In contrast to the conventional concept, the role of ATP is not to provide a package of energy held in a special chemical bond. Rather, as a cardinal adsorbent, ATP acts by means of its specific electronic interaction with the protein molecules, maintaining the protein—ion—water system at a higher energy state. Dephosphorylation of ATP leads to a cooperative shift of the electron state of the whole assembly to a lower energy state. Restoration to the original resting state follows the resynthesis of ATP (where energy is injected into the system) and its readsorption on the cardinal site. Living cells typically reside in a liquid environment. The discontinuity of the cell interior from the external milieu, essential for the normal functioning of the living cell, has long been a subject of central interest in mechanistic biology. Prominent in this discontinuity is the much higher concentration of K+ and much lower concentration of Na+ in the cell interior than in the cell environment, seen in virtually all living cells. We shall begin the present article with a discussion of the subject.